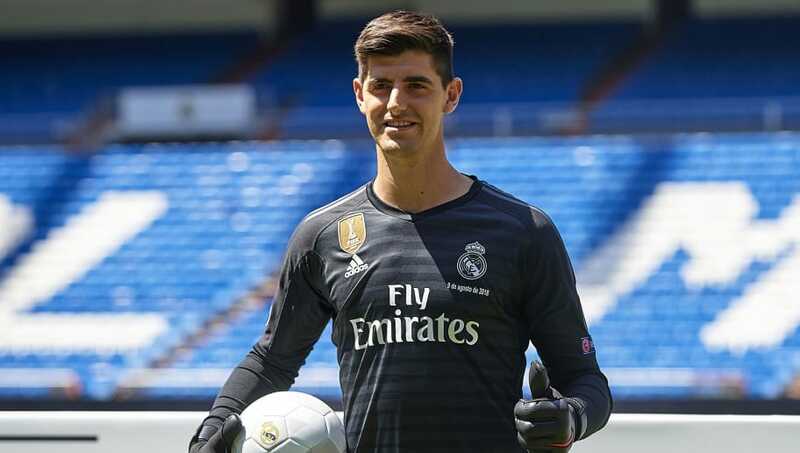 ​Real Madrid have named a 29-man squad for the UEFA Super Cup against city rivals Atletico in Tallinn, including new goalkeeper Thibaut Courtois following his high profile move from Chelsea. Real earned the right to play in the Super Cup, looking for their third straight title, after winning the Champions League at the end of last season. Atletico, meanwhile, won the Europa League. It is a group mixed with youth and experience and several emerging talents from the club's Castilla squad have joined seasoned winners like Sergio Ramos, Luka Modric, Marcelo and Gareth Bale. For Courtois, the game in Estonia could represent a first appearance for his new club, although he has only trained minimally since the World Cup and faces competition from four other goalkeepers in the squad all looking to impress. New coach Julen Lopetegui is looking to make a strong start to his Real career in what will be his first competitive game in charge after being named as successor to Zinedine Zidane in June. "Winning is always the objective for all coaches," he said, via RealMadrid.com. "But more than thinking about what it would mean, we try to prepare ourselves to be able to win it. It's what we're focused on and what's got our full attention. "My first official game is a final. A match that Real Madrid have earned the right to play in once again. We'll try to prepare very well for this match against a very strong opponent who will make it difficult, they're a team we know well and it'll be a local derby. "It's all set up to be a great match and a great final. This is how we will treat it and we will prepare for it. We're delighted that our first match is this final."